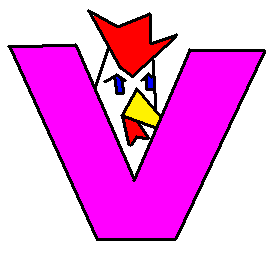 V has always seemed like a rather angular letter to me. Perhaps because it's just one sharp point. For this reason I used no curves in the production of V. I also, at a later point in the design process, decided to use only colors that would be purely a blend of 255 and 0. The striking result is here.